Despite increasing pressure from supermarkets and fuel stations, demand is still good for traditional newsagents stores in the region, say commercial property agents Christie & Co.
With many outlets branching out into newsagents’ core products, some traditional shops have been forced to close. Christie & Co, which has an office in Newcastle, was instructed to market Finlays (North-East) Ltd’s stores in 2013. 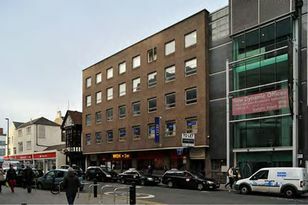 The businesses were around Newcastle, Gateshead and Cleveland and five shops were sold and completed successfully. The move came after the company, which was based in Whickham, near Gateshead, suddenly ceased trading in October. It had also raised concerns over the long-term future of the newsagent industry, with its financial report for the year to March 2012 revealing operating losses of £188,903. Andrew Birnie of Christie & Co said: “During the marketing period the company went into liquidation. “At that time, a quantity of shops were under offer. We were instructed as joint agents with Cottam & Co by the liquidators to market the remaining estate of 15 shops. One new owner was Sandip Patel who took over the former Finlays (North-East) Limited store in Prebend Row, Darlington. He is re-branding the store and has re-employed former workers. Birnie added: “A group of five stores which had off-licences and formerly traded as Bargain Booze at Finlays were sold to a national retailer. “Even though the shops were closed, the leases attracted a premium for goodwill and some attracted multiple bidders.